First What is Evidence Based Medicine? – Is the care of patients using the best available research evidence to guide clinical decision making. It has become a popular movement in medicine in recent years. Critics of the term ask, “Is that not what good doctors have always practiced, at least to the best standards of their day?” But several aspects of the present situation make the term more meaningful. 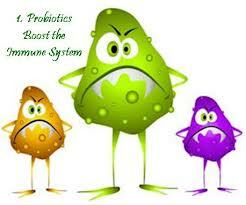 This new study confirms the use of probiotics (Probiotics are microorganisms that have beneficial properties for the host. Most commercial products have been derived from food sources, especially cultured milk products. The list of such microorganisms continues to grow and includes strains of lactic acid bacilli (eg, Lactobacillus and Bifidobacterium), a nonpathogenic strain of Escherichia coli (eg, E. coli Nissle 1917), Clostridium butyricum, Streptococcus salivarius, and Saccharomyces boulardii (a nonpathogenic strain of yeast) help in blood pressure control. Khalesi S, et al. – The aim of the present systematic review was to clarify the effects of probiotics on blood pressure (BP) using a meta–analysis of randomized, controlled trials. The present meta–analysis suggests that consuming probiotics may improve BP by a modest degree, with a potentially greater effect when baseline BP is elevated, multiple species of probiotics are consumed, the duration of intervention is ≥8 weeks, or daily consumption dose is ≥1011 colony–forming units.